Schedule My Rent hired WSI Web Enhancers for a search engine optimization campaign. Both companies are based in Albuquerque New Mexico. 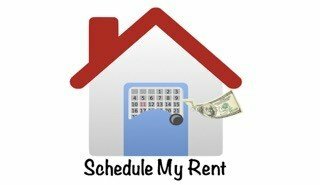 Schedule My Rent is a FinTech company making it easy for landlords to collect rent online. Millions of small landlords still collect rent the old way, collecting with paper checks and keeping track of everything with a spreadsheet. In the first phase of the SEO campaign, WSI optimized their new website for search engines and improved the conversion architecture of the site. In the second Phase of the SEO campaign WSI will build backlinks to the website to improve it’s rankings in the search results. Blogging will be an important part of the backlink strategy and WSI has created a professional business profile for Schedule My rent in Tumblr, Weebly, Blogger, Medium or WordPress. Monthly reporting will be conducted with the client to keep them informed of the progress we are making.With the help of WSI, Schedule My Rent will only continue to experience growth and top rankings.